Hi-Visibility polo shirt with short sleeves. Available in Saturn yellow and orange. A variety of sizes. High visibility long sleeved jerkin with velcro fastening. 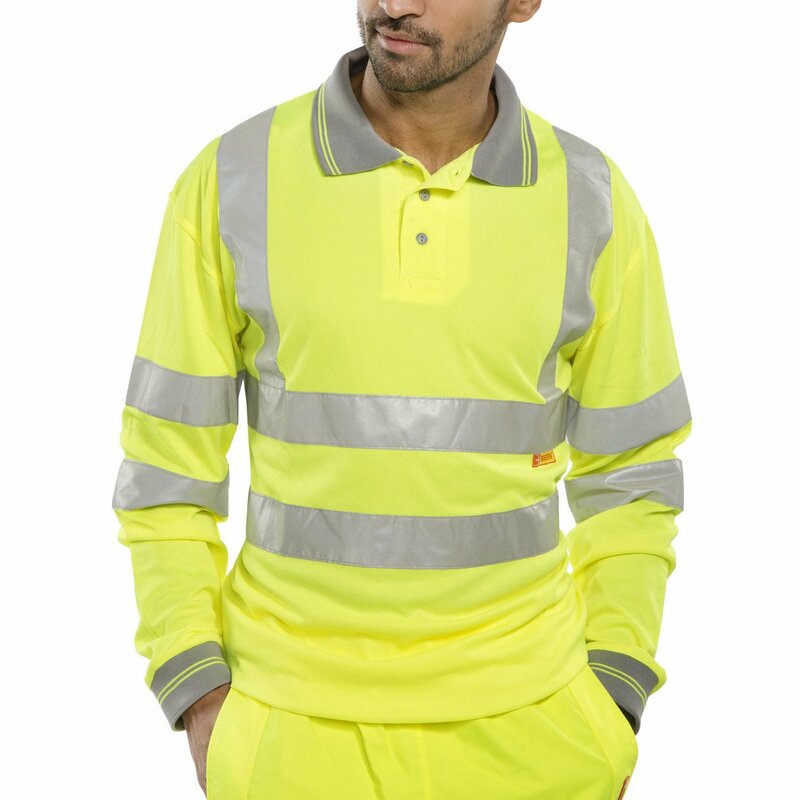 HI-Vis fire retardant long-sleeved polo shirt. 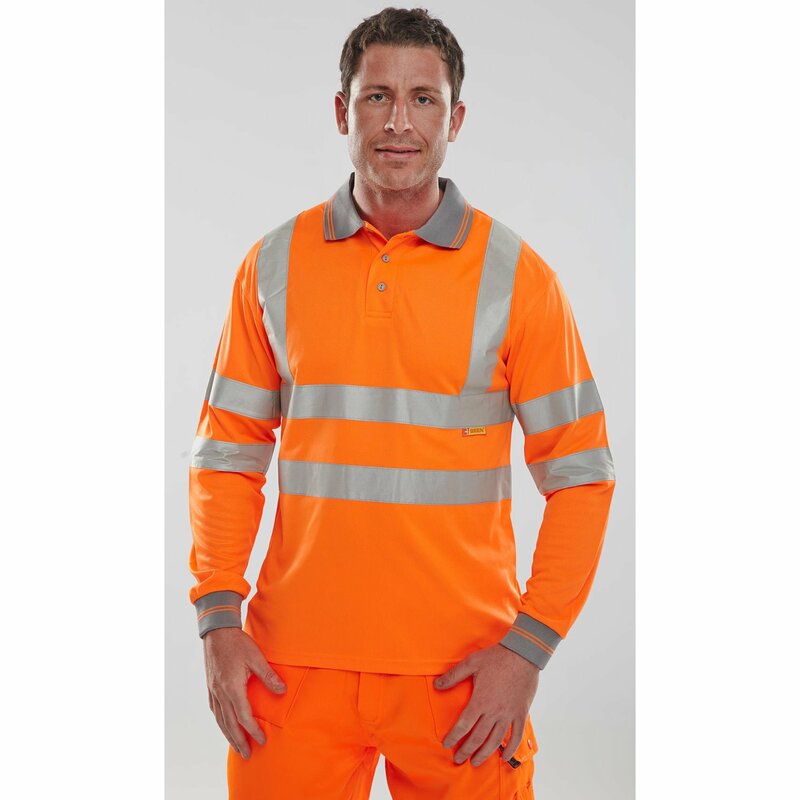 High visibility polo shirt made from 100% polyester with highly reflective banding. The shirt features grey trim on the collar and sleeve cuffs, and also has a versatile 3 button collar. 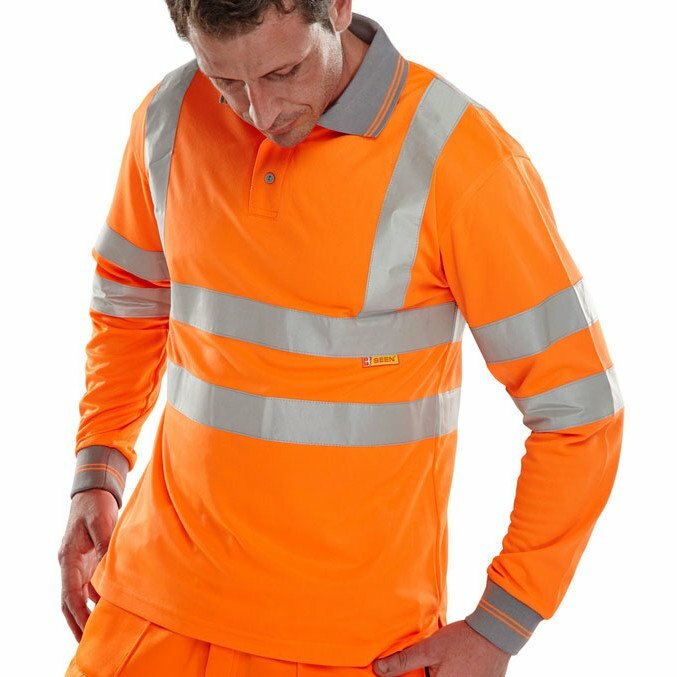 The Hi-Vis polo shirt conforms to EN471 visibility standard which has improved safety in many areas including the safety of railway workers. Grey trim on collar and sleeve cuffs. Available in sizes Small to XXXXL . Colours available Saturn yellow and Orange.